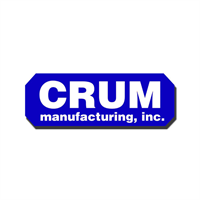 Crum Manufacturing specializes in Quality Check Fixtures/Gages, Formed Tube and Pipe, and Robotic Integration and custom automation solutions. Since 1984 Crum has supplied tooling and Quality Check Fixtures and Gages to customer in many different industries including automotive, Aerospace, Metal Stamping, Wire Form, Rubber hose, and many others. In 2013 Crum expanded into Robotics and Automation and now offer Robotic Integration, Automated Quality Fixtures, and Assembly Stations. Crum’s integration services include collaborative and traditional robots. We are now a preferred systems integrator for Universal Robots providing automation solutions across a large range of industries. Crum Manufacturing is ISO 9001:2015 Certified.